Over the last three months we have been asking you to pray that our house will sell, so we can make our move to the border. It still hasn’t sold, and to be honest it’s hard to wait, especially when we feel we don’t have any control over the situation. The only thing we can do to make it sell quicker is to reduce the price, which may be necessary, but it’s not a very encouraging prospect. Both Dawn and I were very confident that the Lord would sell our home within a month of when we put in on the market. We realized that it’s a buyers market, but we have heard some encouraging stories of some houses selling quickly. Since our house has taken longer than we had anticipated, it’s caused us to reflect, pray and ask the Lord what His plan is. We’ve asked, “why might it be that God has not had our house sell yet?” “What does He have for us here in Colorado Springs, that we have yet to do?” And other similar questions. I’m not sure that I have the answers to these questions, but I do know the Lord has a purpose, even in this. A couple of things that we do know are that being here longer has allowed our support to come up. We’d really like to be fully funded by the time we move. We are almost there, but we still have a little ways to go. We are at 90% of our monthly support need. We are also trying to raise funds, so we have enough to cover our moving expenses. Another possible reason the Lord has seen fit to keep us here longer is that our son, Jonathan is planning on staying in Colorado through at least this school year. Maybe the Lord wanted him to be in our home a little longer before he moves out? I believe another valuable thing that God is doing as we wait is teaching us to trust Him. That’s easier than it sounds, sometimes! It’s easy to trust Him when things are going the way we want, but not so easy when His plan is different from what we think it should be. On the positive side, Colorado Springs is a beautiful place to live. We have a lot of great friends, and a wonderful church here. I’m sure we will miss all these things when we leave! So we must cherish each day, and bloom where we are planted. One of the challenges we face is that since we had to pack up a lot of our belongings to get our house ready to show, most of our cold weather clothes are packed away. Last weekend it snowed! Staying warm could become difficult as we move towards winter. Thank the Lord that He is in control of even this! Happily, you know that God’s timing is always perfect. You have a nice house, and He will send someone along (with money) at just the right time. Yes, we know. We just need to resist the temptation to take things in our own hands, and try to help God out. Kinda like Abraham did with Hagar. I can relate to the winter clothes thing. Christina and I packed all of ours up back in the summer. We forgot, of course, that we were going to Minneapolis and Colorado during these 2 months. Oops! 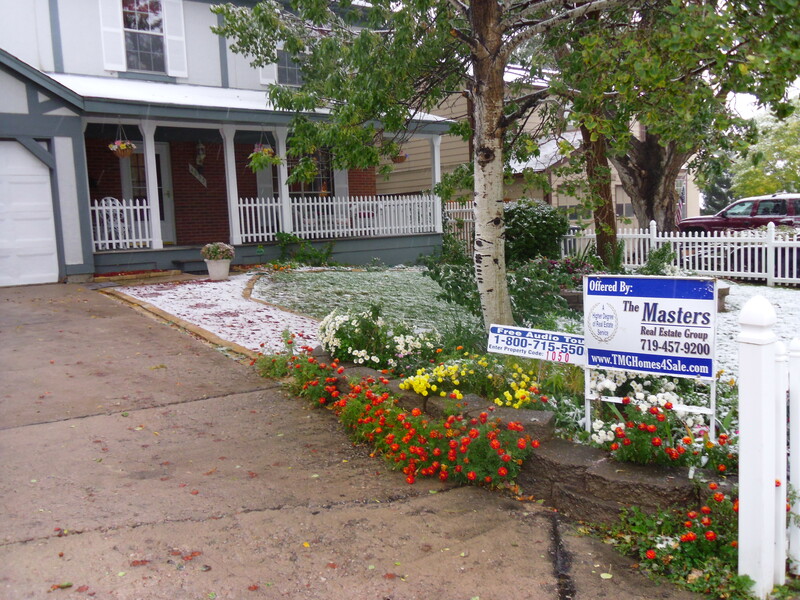 (We had to go dig them out last week…) Praying for your house to sell! I think the cold weather clothing is the first thing we packed, so it might be quite a chore finding those clothes. I did keep a few things out, so hopefully I can survive with that. Enjoy Minnesota – at least it’s not January! Amazing Testimonies of Changed Lives!